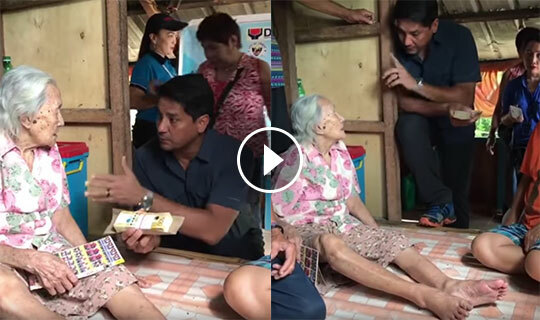 The DSDW, and Ormoc City Mayor Richard Gomez as well as the Duterte Administration gave P100,000 pesos to a 100-years old grandma as part of the administration's benefit program. Mayor Gomez told the 100-years old grandma that she receives the benefit because she reached the age of 100 years old. He also explained in Visayan language that she can buy foods, medicine and everything she needs with it. He also suggested, if she want, she can put her money to City Treasurer where she can then withdraw some money when she needs it. Mayor Gomez said that he is with his Kagawad (Barangay Official). The video of Gomez gone viral that was only posted yesterday but it already has 1M views, 26,000 likes and 17,542 shares as of now.